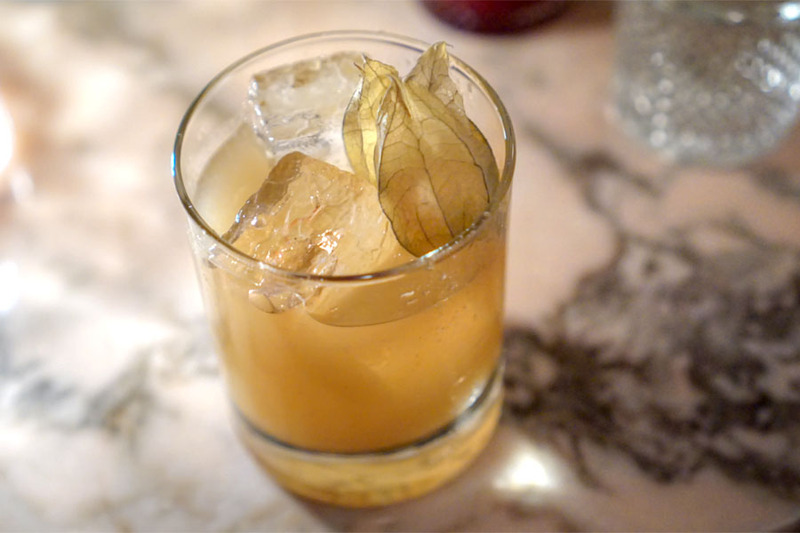 We were finally able to get a reservation to Majordomo, but it was a late one, 9:15, so we made it a point to stop by the new apothecary-inspired cocktail bar Apotheke for some pre-dinner drinks. The original Apotheke debuted in September 2008 in New York, and is the work of siblings Heather and Christopher Tierney. This LA outpost, meanwhile, opened on January 11th in a former warehouse in an out-of-the-way location in the north-eastern part of Chinatown, a stone's throw from the Los Angeles River. Aesthetically, the space is very similar to that of the first Apotheke; note the intentional lack of seating at the bar. We arrived right at opening, so we were easily able to snag a corner table. Otherwise, you'll probably want to try for a reservation. New for LA is an outdoor area with its own bar and patio seating. 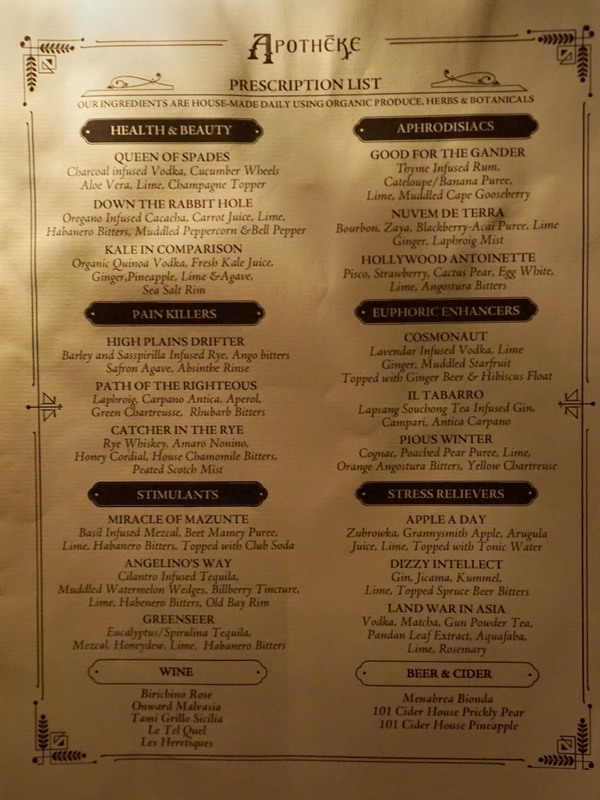 The cocktail menu is called a "prescription list," keeping with the place's theme. Curiously, no prices are listed, but I will tell you that all the drinks are priced at $16 (the new normal for LA it seems). No food is served. Click for a larger version. We began with this colorful cocktail. Unsurprisingly, I found it fruit-forward at first, but with astringent, vegetal notes creeping in later. 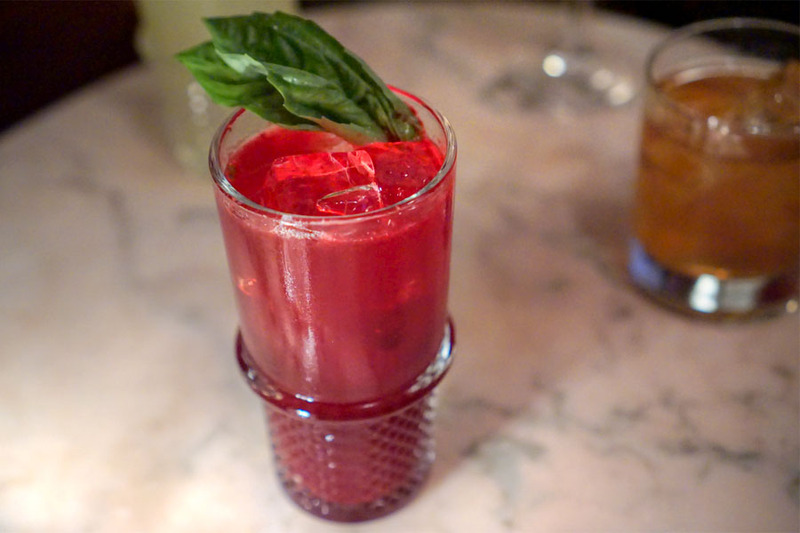 The drink also displayed a cool, herbaceous quality that I enjoyed. This cocktail had an unexpectedly muted scent, with light vanilla and heat. 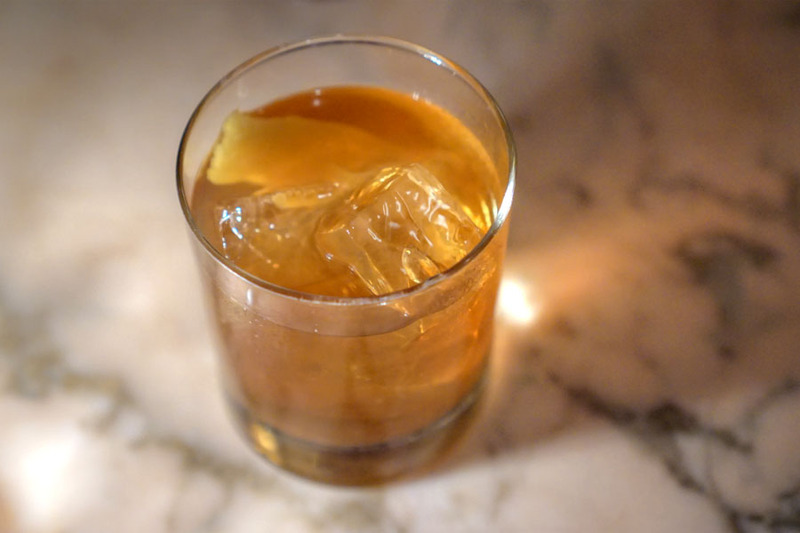 The taste, though, was much more assertive, with an overall savoriness joined by boozy rye spice, medicinal and grassy nuances, not to mention a sort of nutty character. 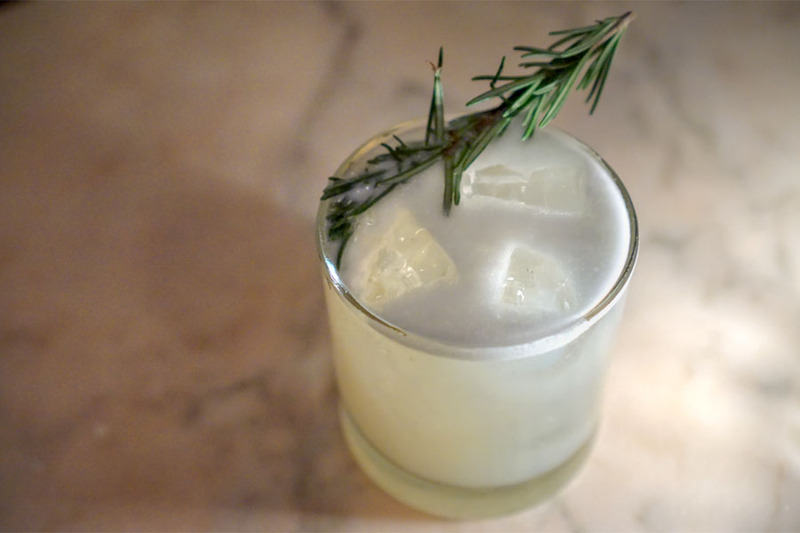 Rosemary was all up in your nose with this next cocktail. 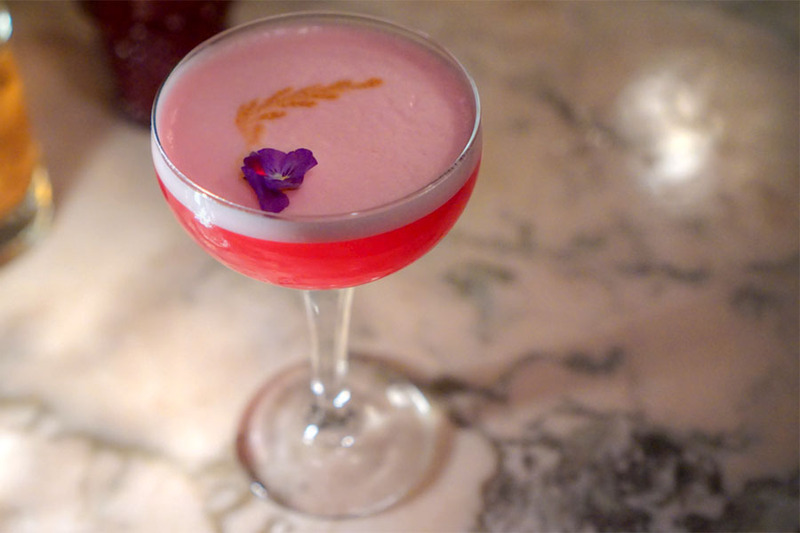 However, the drink had a sweet, tangy, fruity palate that belied the sheer herbaceousness of the aroma, as well as a subtle touch of tea astringency on the close. The bouquet on this one was dominated by basil and sweet mamey. Taste-wise, think smoky and fruity, with a hint of heat from the habaneros and a refreshingly fizzy mouth feel. Here we had perhaps the booziest cocktail of the night. It smelled heavily of rye spice, along with citrus and herb. The palate was definitely spirit-centric, but also displayed a lovely toffee element as well as more spice and a smidge of chamomile. I will say that I didn't detect much from the advertised scotch though. This was a fun one. 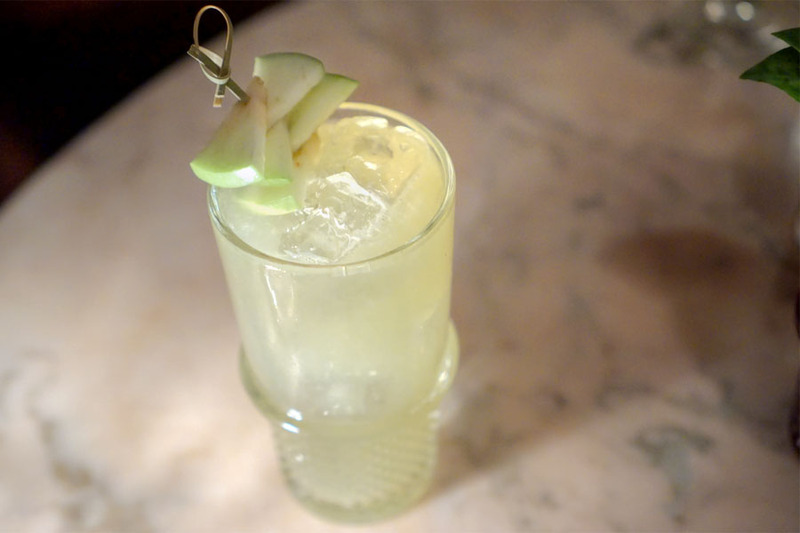 Think juicy apple mixed with the zippiness of arugula, with nary a hint of booze. Goes down easy. Up next was another easy-drinker. I definitely got the sweetness of the strawberry and tuna, but fortunately this was countered by the frothiness of egg white as well as a persistent-but-restrained savoriness. We ended with a table favorite. It did a nice job conveying the character of the fruit, and I especially appreciated the tartness from the gooseberry. 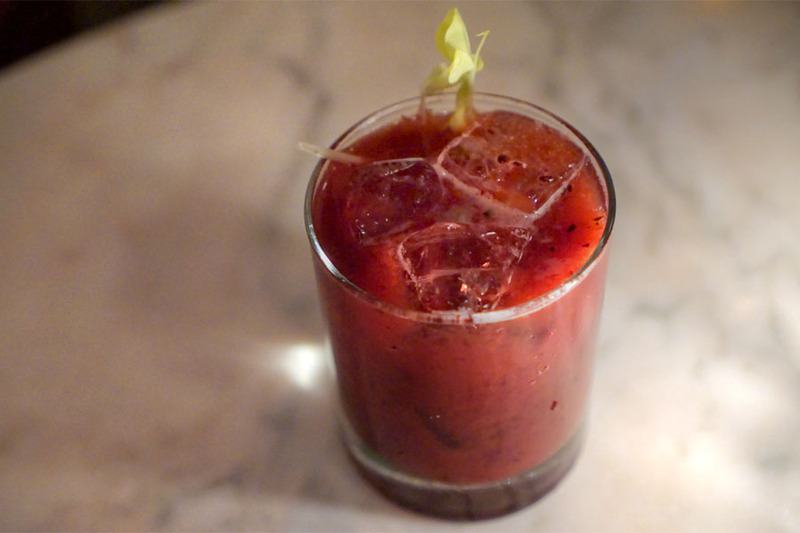 The thyme-enriched rum served as a counterbalance to it all, and really, this is something I could drink all day. 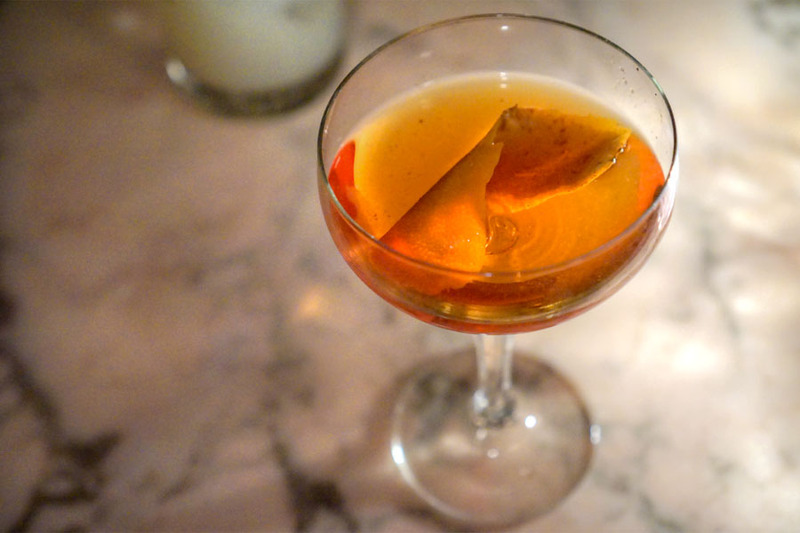 Apotheke's a worthy add to the City's imbibing scene set in an unlikely location. I appreciated the breadth of the cocktails, and the strong emphasis on herbs, botanicals, and fruit made for a drinking experience that was more interesting than many. I also liked the chill vibe of the place, though that was probably due to the fact that we arrived early. Overall a good spot, and I imagine that this'll go on my regular rotation of cocktail bars. Can't wait for your MajorDomo post. I believe this is the home of functioning alcoholics. This place is very beautiful, the food is delicious and very attractive, just as its name is like a gastronomic street. Hey friends if you want to hack roblox then must try roblox hack its best way to hack roblox for free online.